On Monday, a Texas grand jury charged a Maryland man with “aggravated assault with a deadly weapon” after authorities say he tweeted an animated flashing GIF designed to trigger Newsweek journalist Kurt Eichenwald’s epilepsy last year, “immediately” causing him to have a seizure. 29-year-old John Rivello was arrested in Salisbury, Maryland on federal cyberstalking charges last week. After sending Eichenwald the GIF in December, Rivello allegedly messaged another Twitter user saying “I hope this sends him into a seizure” and “let’s see if he dies.” Another message sent by Rivello allegedly said “I know he has epilepsy” and authorities say a search of his iCloud account found a photoshopped version of Eichenwald’s Wikipedia page with his date of death edited to be December 16, about when the GIF was sent. According to the criminal complaint, Eichenwald’s wife took the picture of his notifications tab seen below, showing the GIF that allegedly triggered Eichenwald’s epilepsy. 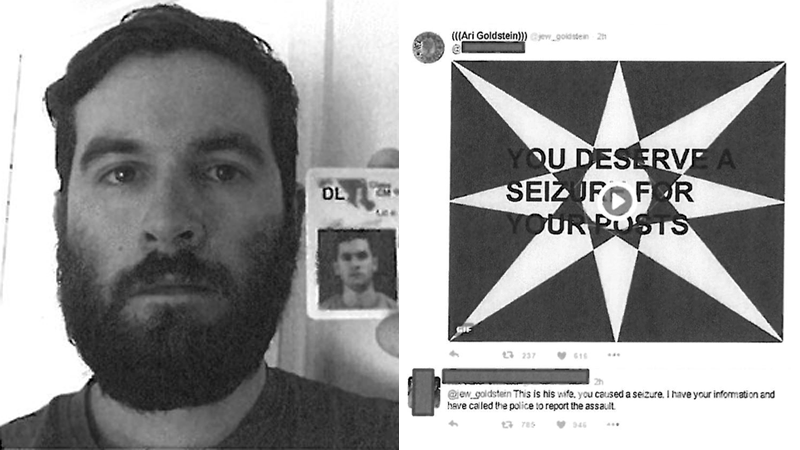 Last week, Rivello was charged with violating federal cyberstalking laws, but using a GIF as a “deadly weapon” is a testament to how far internet culture has devolved. In 2017, people apparently have burner iPhones dedicated to trolling Twitter, which they use with seemingly genuine hopes of inflicting harm via GIF. It’s only going to get worse from here.